As fans of the DCEU wait years on end for a Man of Steel sequel, a new problem has arisen, and it has to do Superman himself, Henry Cavill. He’s been negotiating with Warner Bros about renewing his contract with them, and it seems like they can’t get to deal yet. It’s not all bad news though, here I’ll be breaking down what it all means and why we actually shouldn’t be too worried. Recently, rumors and whispers made their way online regarding Cavill’s future with WB/DC as Superman. Most of the talk came from Twitter users like Daniel R and others, while Mario from Revenge of the Fans was more open about it. I’ve gathered up what all of the talks have led to and did some digging of my own. Here’s what’s reportedly going on. It seems that Cavill and his reps are trying to get an A-list level salary for future Superman appearances, while Warner Bros isn’t sure if he’s at that level and if the audience genuinely wants to put money down just for his name (besides being Superman). Good news is that both sides want this to happen, they all want to see him don the suit and cape again. Now let’s talk about his current contract and how it has influenced these talks. After Justice League, Henry Cavill has only one more film appearance as Superman left before having to renew his contract. This is where Shazam! comes in, Henry Cavill is heavily rumored to be appearing in that film in a lengthy cameo. If he does so, it should be noted he has still not filmed his part yet, then this impacts the new deal in Cavill’s favor. If all goes well with Mission Impossible: Fallout and he becomes a bigger star, then he has more reason to ask for a larger salary and continue his role after Shazam!. The only issue is that Warner Bros is playing hardball and don’t want to break the bank on Cavill. As I said before, they’re not entirely sure he’s up to the level that Henry and his reps think he is. This is why there’s been months and months of silence regarding the Man of Steel sequel. Until they get this ironed out, which is still possible, I’m not sure if they will be announcing anything this week in SDCC. If this all sounds a bit worrisome it’s because it is, but not for us fans. Warner Bros and Henry Cavill want this to work out and know there a lot of people ready for it. They have to figure this out sooner or later, and odds are they get to an agreement that pleases both parties. It won’t be easy though, and we may see the effect of this in more rumors and reports down the line, but this isn’t a first for Warner Bros or for superhero films in general. 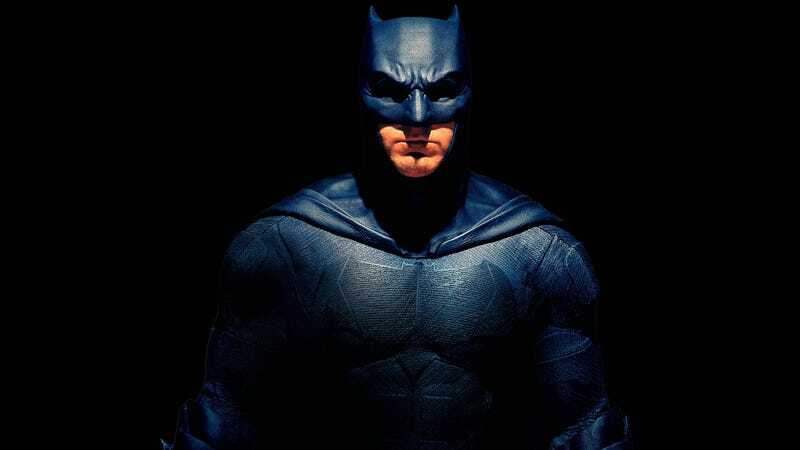 You may remember last year when Matt Reeves was first in talks with the studio to direct The Batman. After a few weeks of WB playing hardball, he “exited” talks only to sign on the next week officially. It’s a negotiating tactic, if the studio doesn’t want to lay down the cash then take it to the public and show how much people want this to happen. Something a bit similar happened with Robert Downey Jr. when he had to negotiate with Marvel after all of the successful films that he had starred in. Yes, they should’ve done this deal earlier this year and had things ready to go by SDCC. But the actor feels like he’s worth more than what he’s been given and that’s totally fair. Just don’t expect a big announcement soon, I would place bets on them finishing the deal post-MI: Fallout. From the outside, it looks worrying but if they truly want to make this happen for the fans and the public, then it will. We just have to remain patient and while it’s possible a miracle happens and everything is settled this week, let’s not get our hopes up too high. There’s plenty to be excited about DC’s future and all rest assured this will be dealt with. We’re getting an Aquaman and Shazam! trailer on the same day this Saturday, there’s plenty of hype to keep you satisfied until then. Man of Steel 2 will seemingly never get a release date….I’m joking.